Danish police said they killed a man likely responsible for two Copenhagen shootings – at a synagogue and at a café hosting a free speech debate. 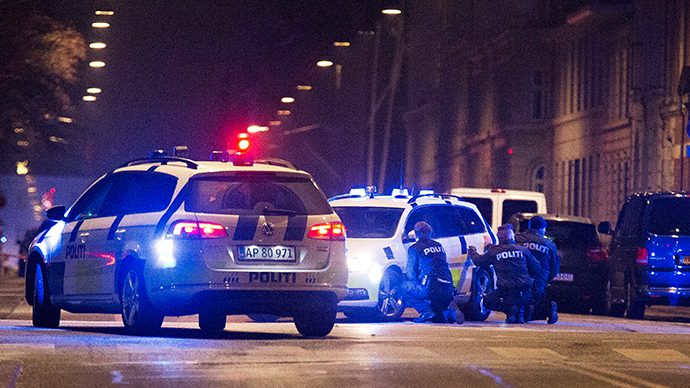 Early on Sunday, police fired multiple shots at Copenhagen’s central Norreport station, killing a man. "The man was hailed. He opened fire against the police and was then shot to death. The man has died. No police officers were hit," the police said in a statement. Danish police said at a subsequent briefing that the dead man was the prime suspect in two Copenhagen shootings which took place hours earlier. 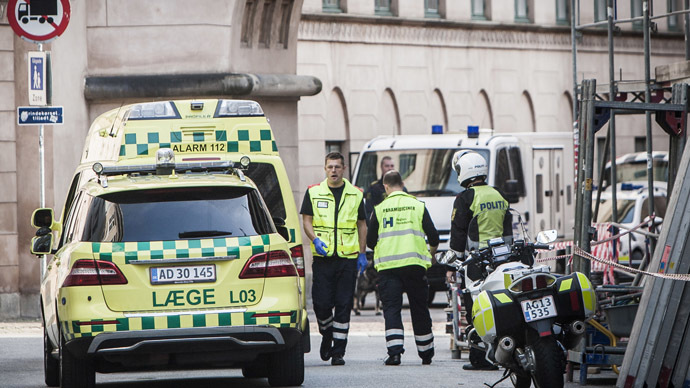 A man was killed in the shooting that took place at a synagogue on the Danish capital’s Krystalgade Street, Sunday morning. Two police officers were injured in the same incident. Denmark's Jewish Community said the victim was Jewish and identified him as 37-year-old Dan Uzan, AP reported. He was standing by the synagogue entrance checking those coming in for a boy's Bar Mitzvah celebration. There were reportedly 80 people inside the synagogue at the time of the attack. Late on Saturday, Copenhagen was shaken by a shooting at the 'Art, Blasphemy and Freedom of Expression' meeting that was attended by controversial artist Lars Vilks and the French ambassador to Denmark, François Zimeray. Both were unharmed. The gunman fatally shot a 55-year-old man, attending the event, and injured three police officers. "We assume that it's the same culprit behind both incidents... that was shot by the police," Chief police inspector Torben Molgaard Jensen told reporters, according to Reuters. Some reports have speculated that the Saturday attack could have been an assassination attempt on Lars Vilks, who has been living under heavy security since drawing a cartoon depicting the Prophet Mohammed as a dog in 2007. Parallels have been drawn between the Copenhagen attacks and the Charlie Hebdo massacre in Paris a month ago. Danish security forces have said that incident was likely a terror attack. This was later backed by Prime minister Helle Thorning-Schmidt. "We feel certain now that it was a politically motivated attack, and thereby it was a terrorist attack," she told reporters. "We are on high alert all over the country." Police were carrying out spot checks at Denmark's borders with Germany and Sweden. Conflicting reports in local media said there were two attackers in the synagogue, with one of them possibly arrested in the ongoing police operation. Police helicopters have been circling above the city’s central streets.